Build credit by paying rent. We text you when rent is due. Text WAIT if you’re short, or do nothing and rent will be paid automatically. No computer or bank account required. We report your payment history to TransUnion, one of the three major credit bureaus. 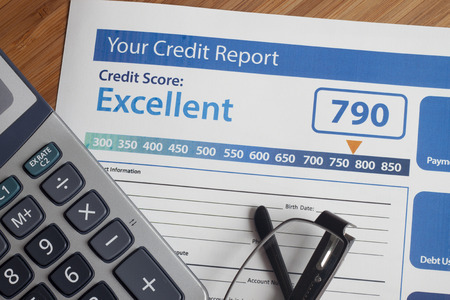 Timely and consistent rent payment may now help you maintain or improve your credit score. Your account is automatically withdrawn when rent is due. 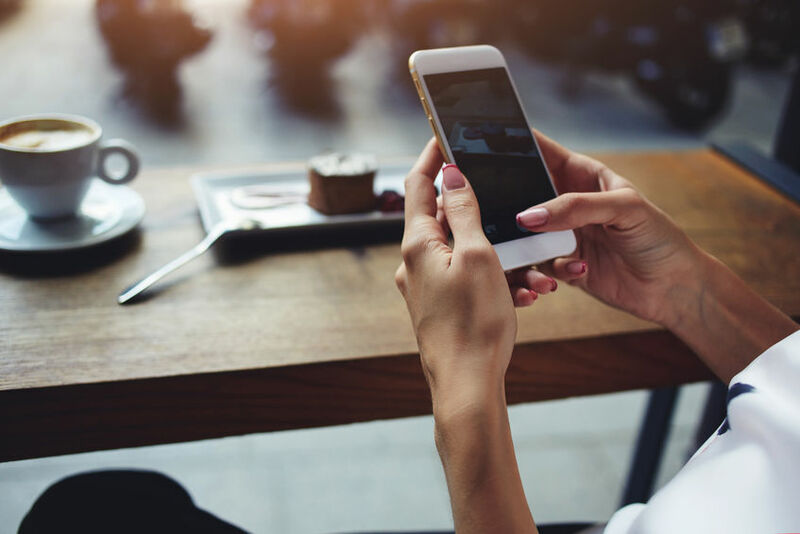 We keep in communication via text message, so you always maintain control over your payments. Best of all, there’s no fee to you for our service. We withdraw the amount of your rent and nothing more. We communicate with text messages. Receive a reminder 3 days before rent is due. 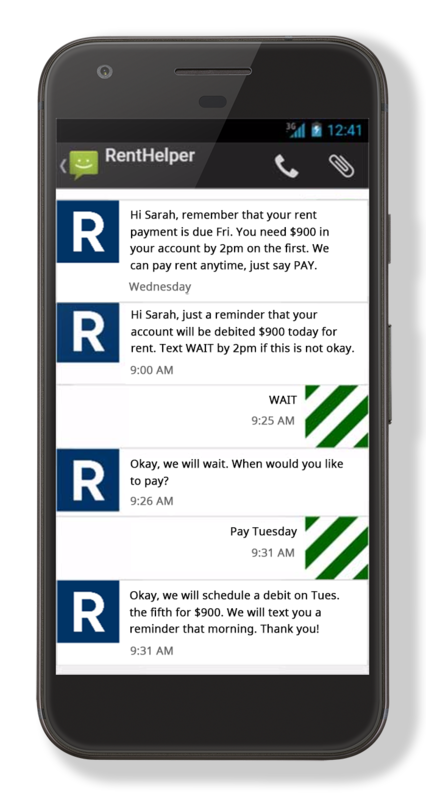 Text WAIT to stop the withdrawal (up until 2:00 PM on rent due day). Reshedule by texting us a new date. Text PAY, and we will withdraw immediately. If you text nothing, we will assume it is okay to withdraw when rent is due. Secure: if your phone is lost or stolen, your bank details cannot be accessed. Ready to get started? Sign up here. We are not currently reporting rent payments to any major credit bureau. We hope to start reporting in Q1 2018 pending approval. All rent payments made prior to the start of reporting will count. Participation is no guarantee of an improved score. Payments more than 30 days late may hurt your score. 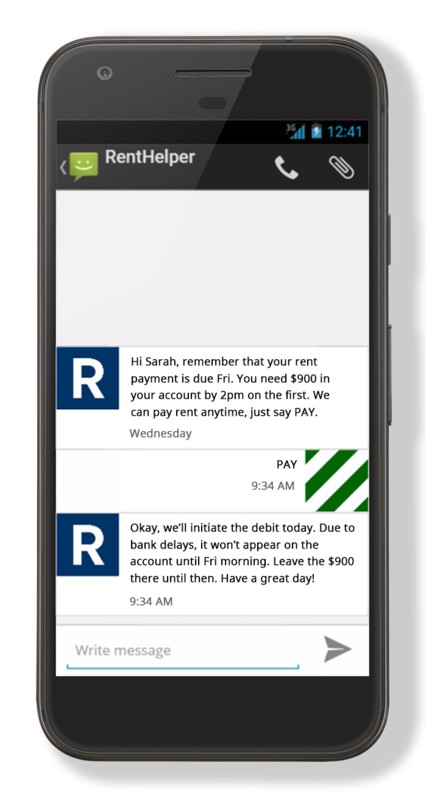 Using RentHelper to communicate delays and payment plans maximizes your chances for an improved credit score.